Amber Bledsoe grew up in the rural town of Rushville, Illinois and currently resides in Grand Rapids, MI. 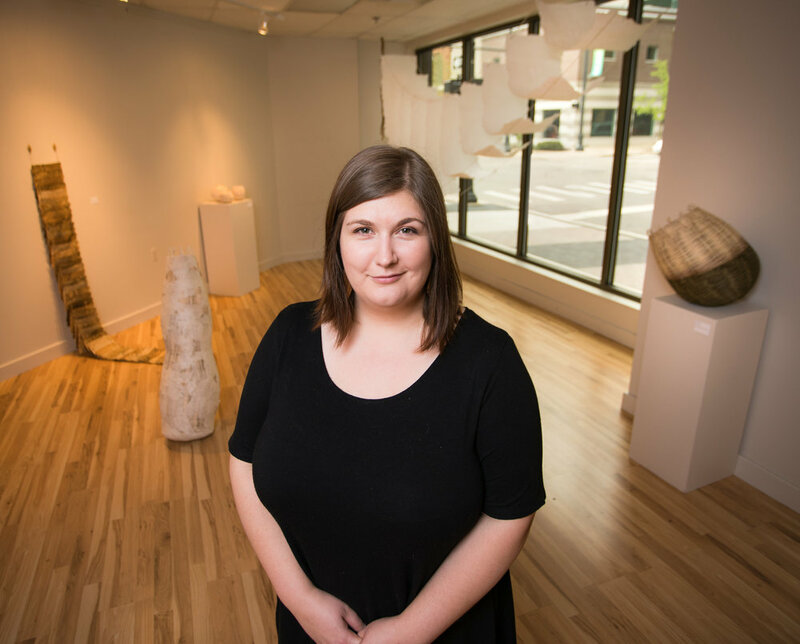 She received her BFA in Studio Arts from the University of Missouri - St. Louis (2015) and will receive her MFA in Printmaking from Kendall College of Art and Design this Spring (2018). Bledsoe has served as an intern for Island Press, Contemporary Print Editions and Artist Projects (St. Louis, MO) and for Firecracker Press (St. Louis, MO). She currently serves as Co-Director for Alluvium Gallery (Grand Rapids, MI). Bledsoe has participated in many exhibitions throughout the Midwest and has presented at institutions such as the Saint Louis Science Center and the Grand Rapids Art Museum. She has also received funding to attend Ox-Bow School of Art and Artists’ Residency, Penland School of Crafts, Arrowmont School of Arts and Crafts, and The Golden Apple Art Residency. Her current body of work explores the complexities of relationships in her life through manipulation of material which often includes the knotting and braiding of rope, paper casting vessels, basket weaving techniques, and growing crystals. Amber explores the use of the vessel to capture and hold interactions between her family members. Through repetitive actions she is able to weave, print, emboss, and encase the fibrous connections of her life.